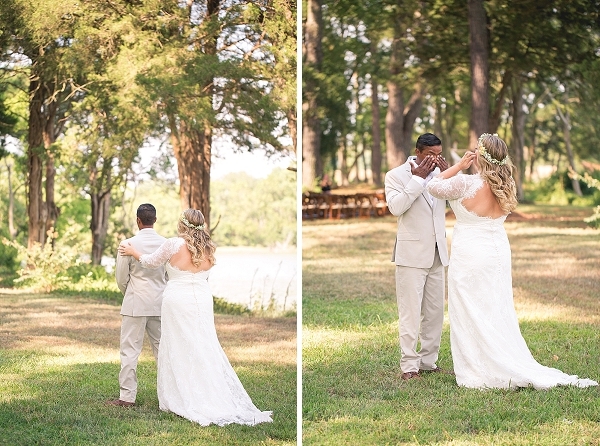 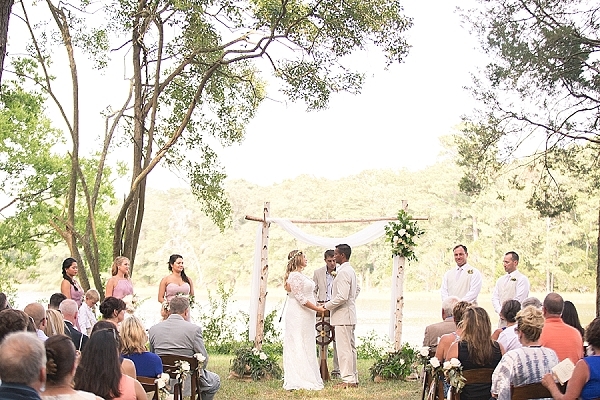 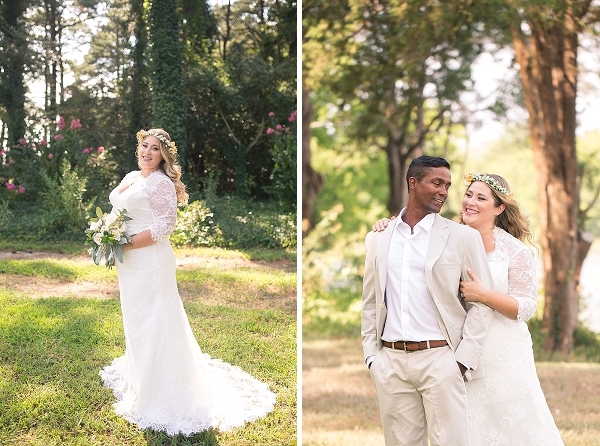 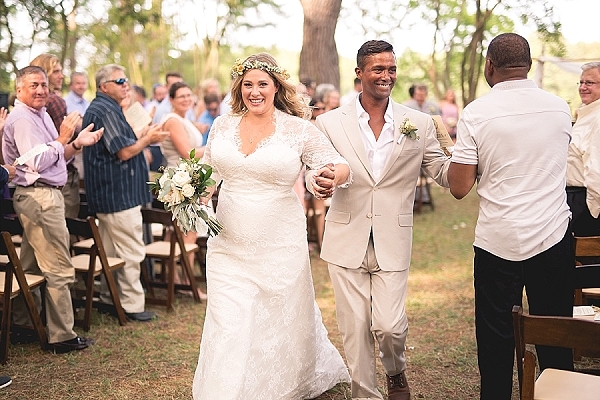 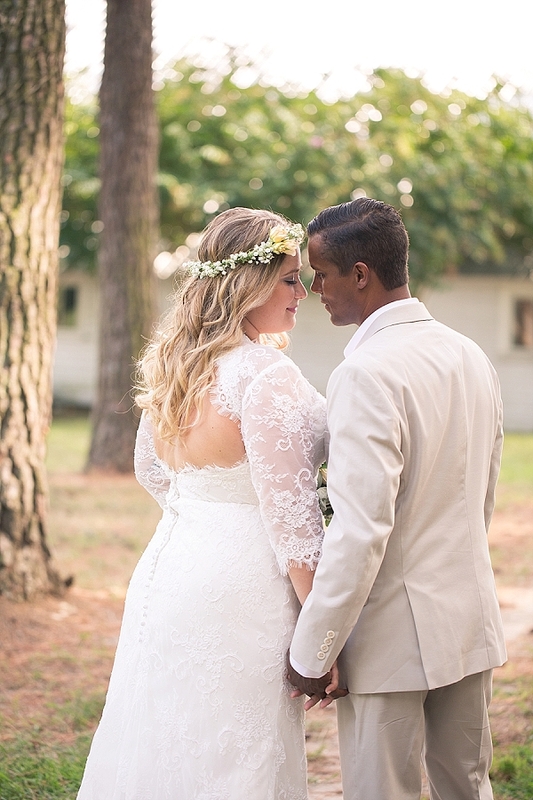 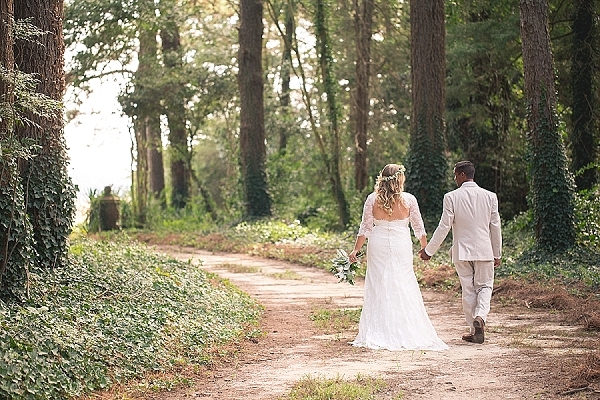 Kristin and Damian have been together for over a decade, so when it was time to tie the knot they knew just what they wanted for their wedding day: a memorable day with their closest loved ones on the Eastern Shore. 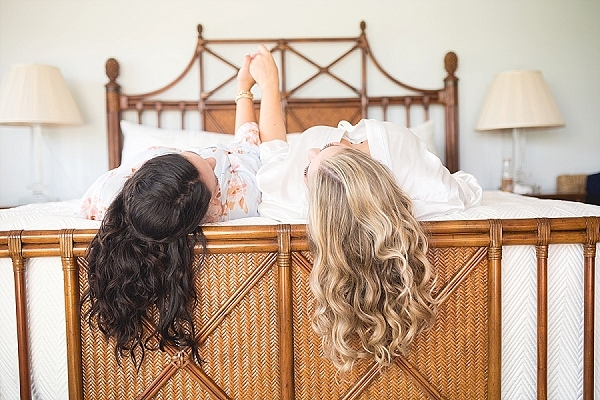 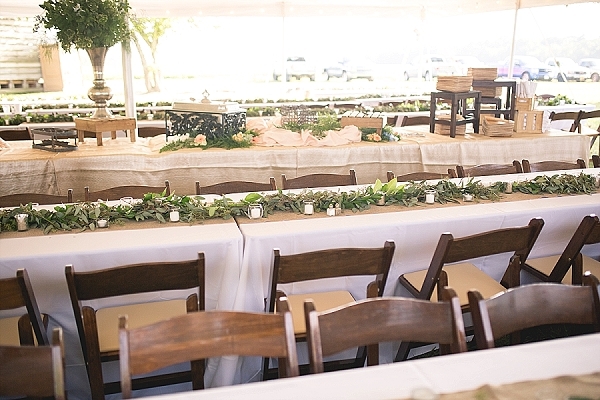 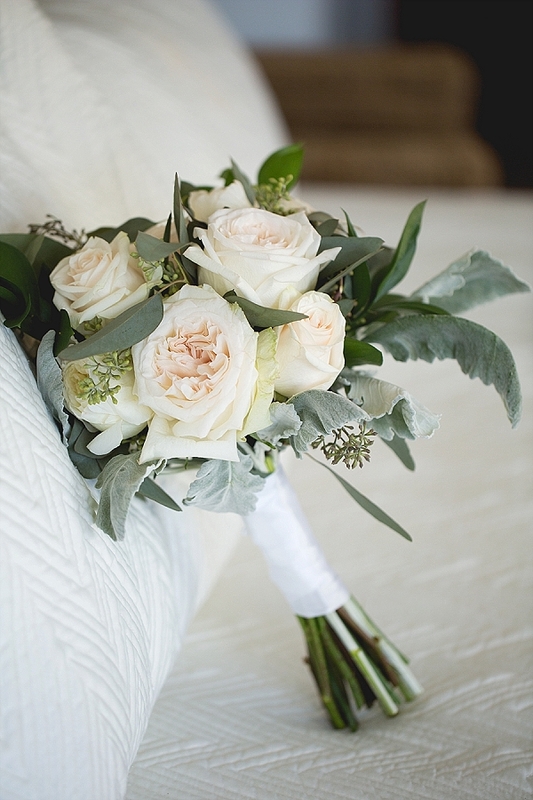 The beautifully rustic chic, Mimosa Farm, provided the perfect backdrop for a laid back, relaxed, and beautiful celebration captured by Lundy Photography. 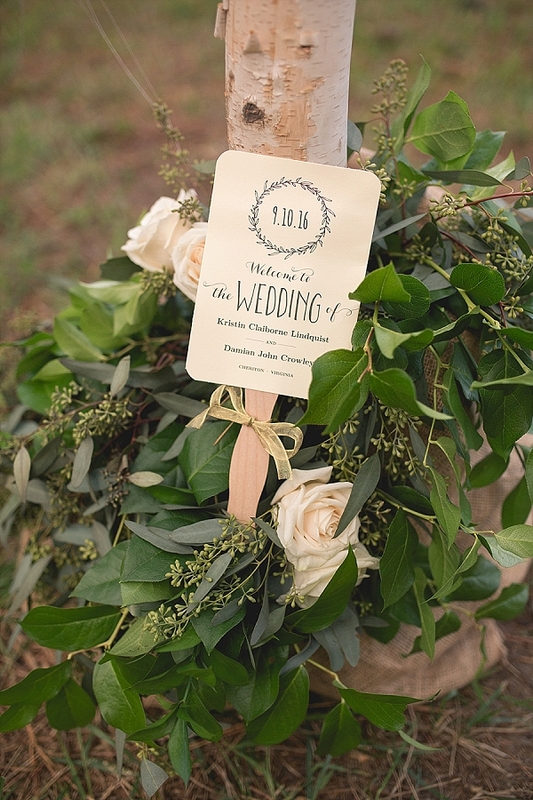 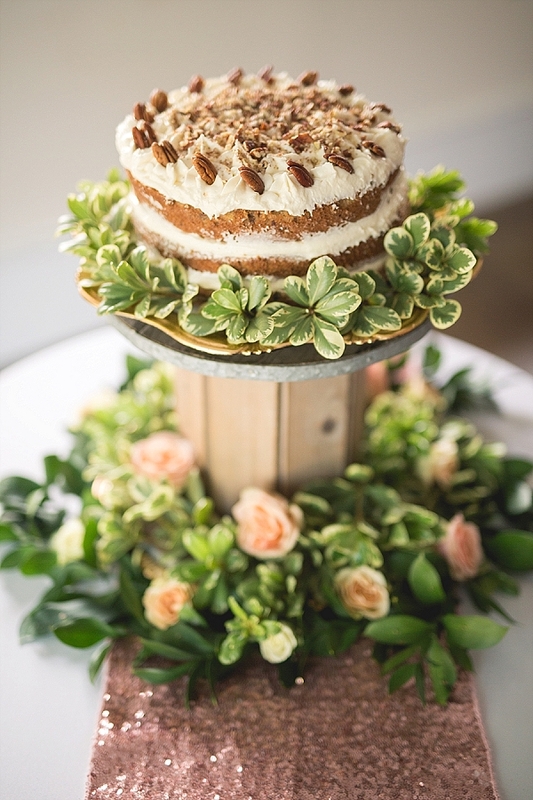 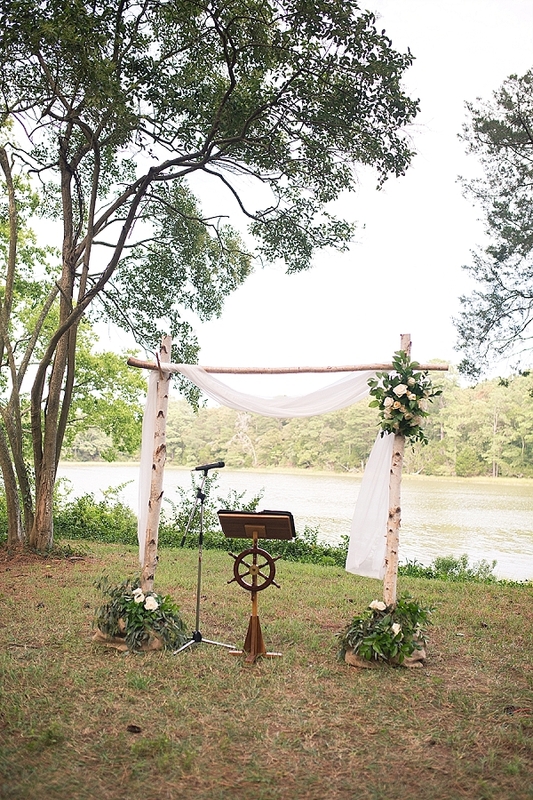 Lush greenery was the centerpiece of their wedding day, surrounding everything from the pecan-dappled naked cake to the beautiful birch ceremony arbor that stood near the water. 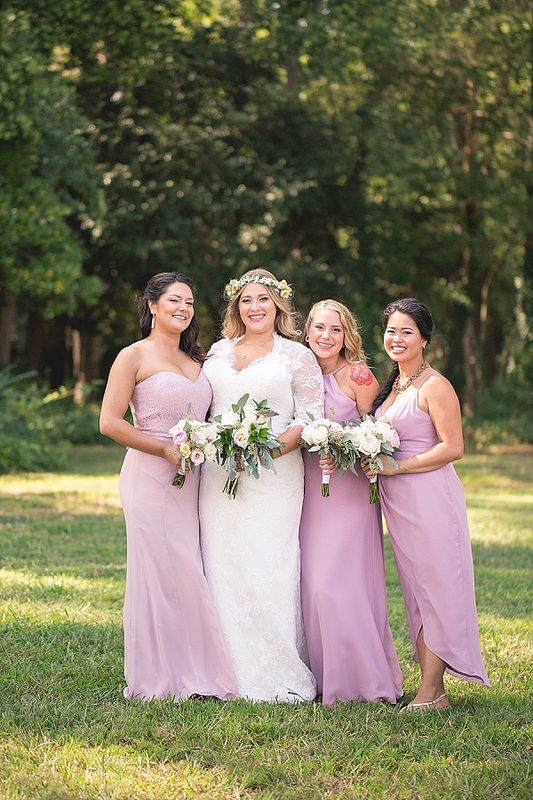 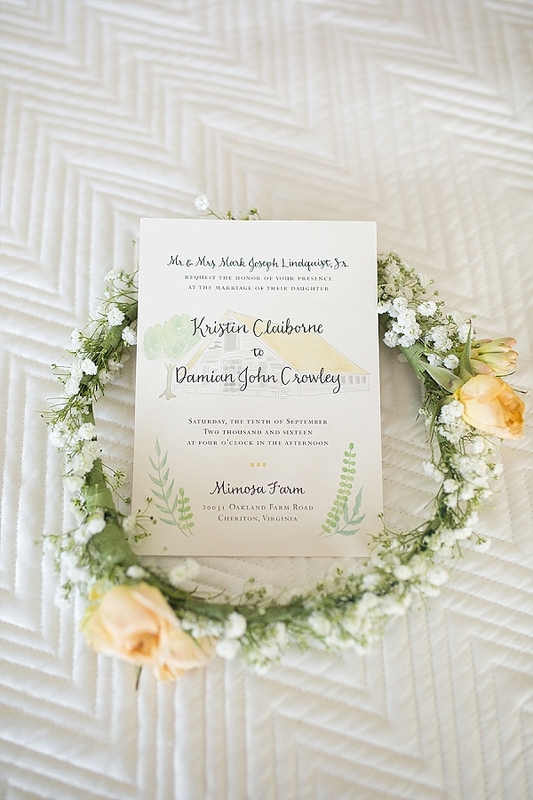 The shades of green complemented lilac bridesmaid dresses and tan groomsmen suits while Kristin’s floral crown and long reception farm tables gave the whimsical vibe for the event. 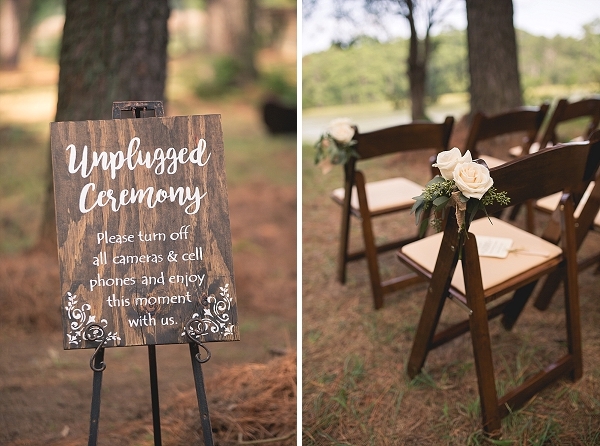 From a dingy boat filled with craft beer to Chesapeake Bay oysters shucked nearby, we loved the unique touches the bride and groom chose to make it a casual chic wedding that is one to remember for their next journey ahead!